And so for our final stop this month I have created a reverse canvas shadow box incorporating Tim's Bird Silhouette die. 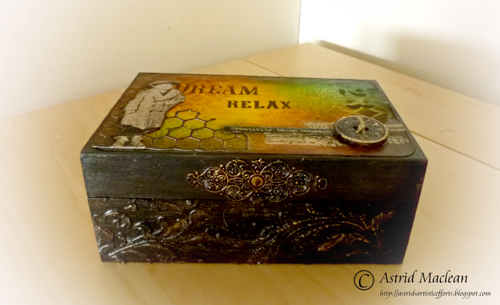 I began on the reverse side of a canvas and used tissue tape to cover the outer edges to hide the staples. 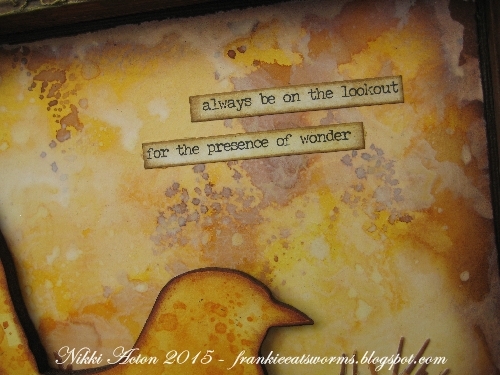 I then added some texture paste through Tim Holtz clockwork stencil. I changed the colour of the frame at one point but this is how it ended up - I painted it with brown acrylic and once dry - dry brushed gesso over the surface to catch the embossed areas. 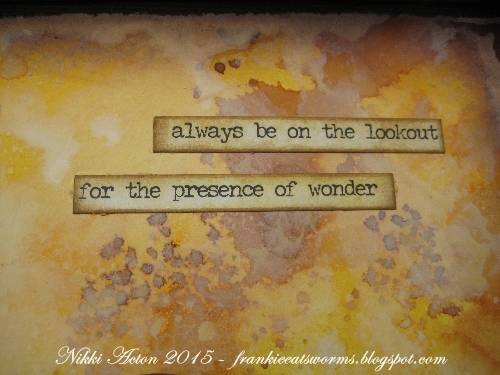 I then took my wild honey paint and dry brushed again - the colour showing over the white gesso. 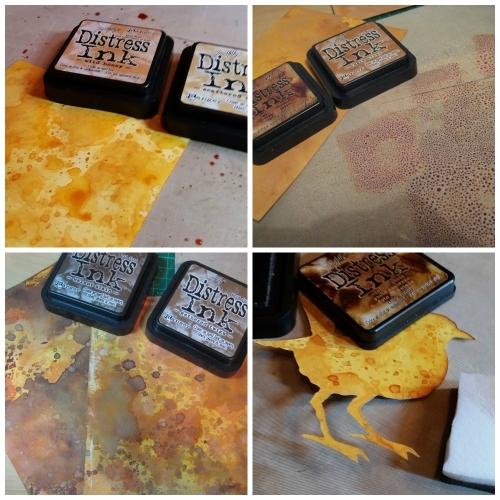 Next I used the wrinkle free distress technique to colour some card - far more than I needed of course! The first was just wild honey and scattered straw but on some I then added some browns for contrast. 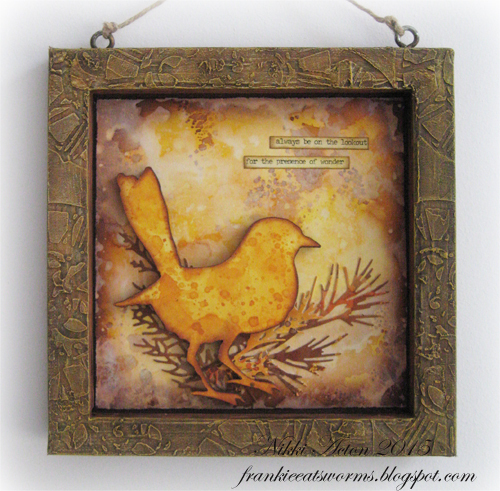 I die cut the bird silhouette out of the wild honey piece and added a little vintage photo around the edges. 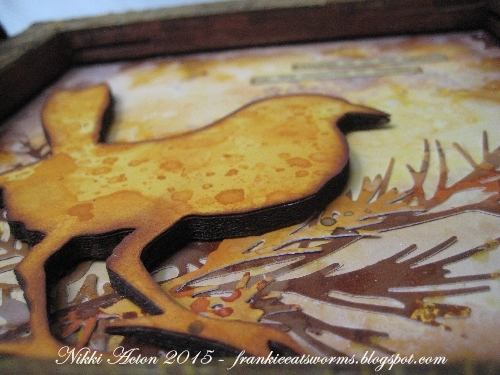 I also die cut the bird out of mountboard and painted it brown before gluing the two elements together. I took one of the slightly darker wrinkle free distressed pieces of card and added a little picket fence distress paint by placing the paint on my kraft sheet, spritzing a little and swiping the cardstock through it. This became the background for the shadow box. 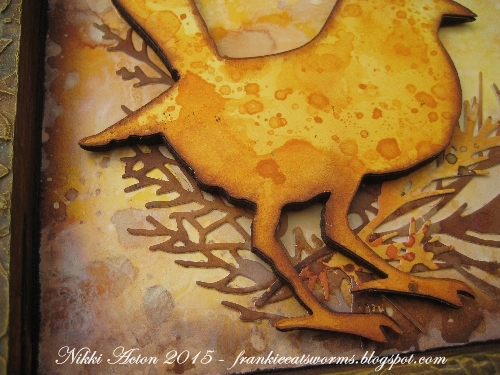 I also cut some branches out of my distressed card too. I added some small talk chit chat stickers to complete the piece. A new journey will begin in October with a new kit big so do look out for the first Destination Inspiration post of the new month next Monday. 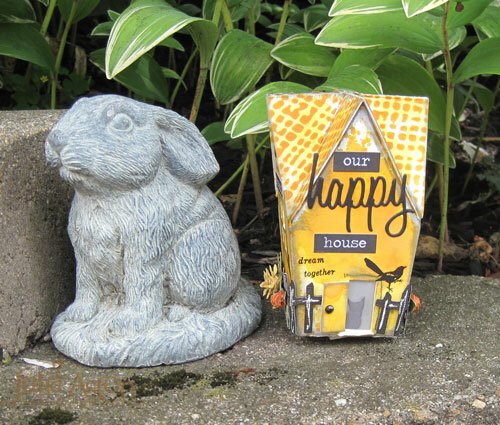 In the meantime you still have a few days to enter our September challenge - Home Sweet Home. If you would like more information and details please email Brenda... brenda_brown25@hotmail.com by Monday 5th October. Such a wonderful way to end the month. Your bird is simply beautiful and I love the verse. Great Job!!! 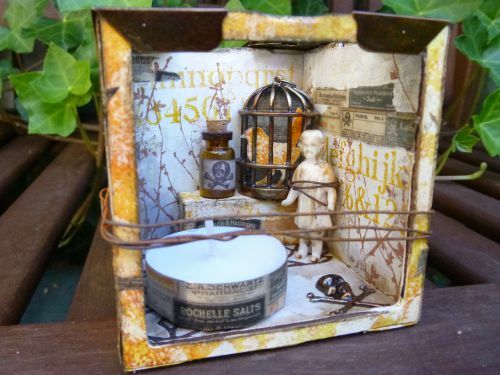 It's been a wonderful month and Nikki's project is a fabulous round-off! A fantastic finale Nikki! 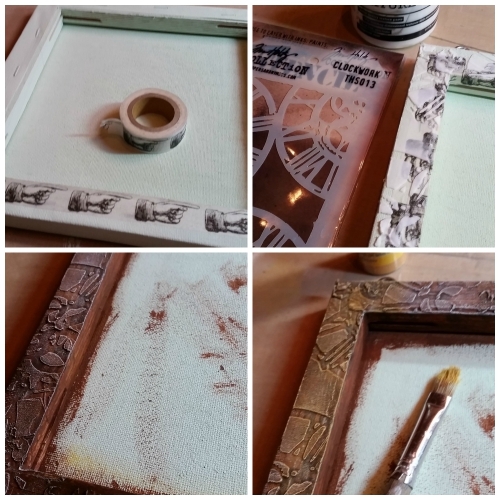 Love both the frame and the inside of your shadow box! The dry brushing really brings the frame to life! The bird is the perfect centre piece and I love how the colours blend and pool around him, - just beautiful! Absolutely fabulous piece of Art! Nikki . I love how you've altered the frame and your wf background is such a gorgeous blend of colours and the perfect backdrop for your lovely wf bird . Love how you've given the bird dimension and the shadow effect of the leaves gives a great sense of depth . 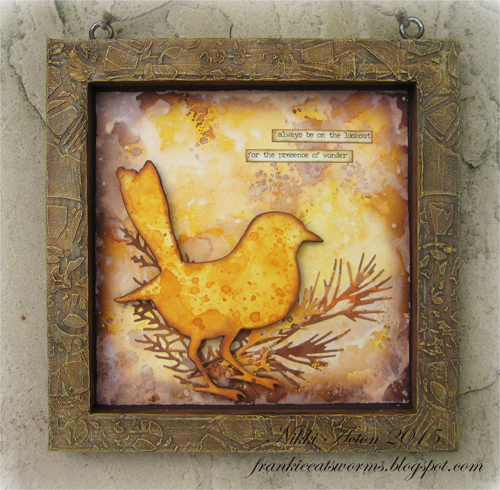 Your Wild Honey bird is stunning, Nikki - and I love the textured frame, beautifully dry-brushed to bring out all that fabulous detail. Gorgeous cloudy effect from the Picket Fence DP in the background too - just love the whole thing! Such great color and depth to this piece! I have this die and am so inspired to play with it now! Wow Nikki, this is stunning, the warm glow of the wild honey and the elegance of this design have made a fab DI post, love it.